The paper discusses the issues and methods of measuring corporate performance. In the first part of the paper, the term metric is defined as well as classification of metrics. Critical factors for the management of information systems and the loop principle in management processes are also presented. 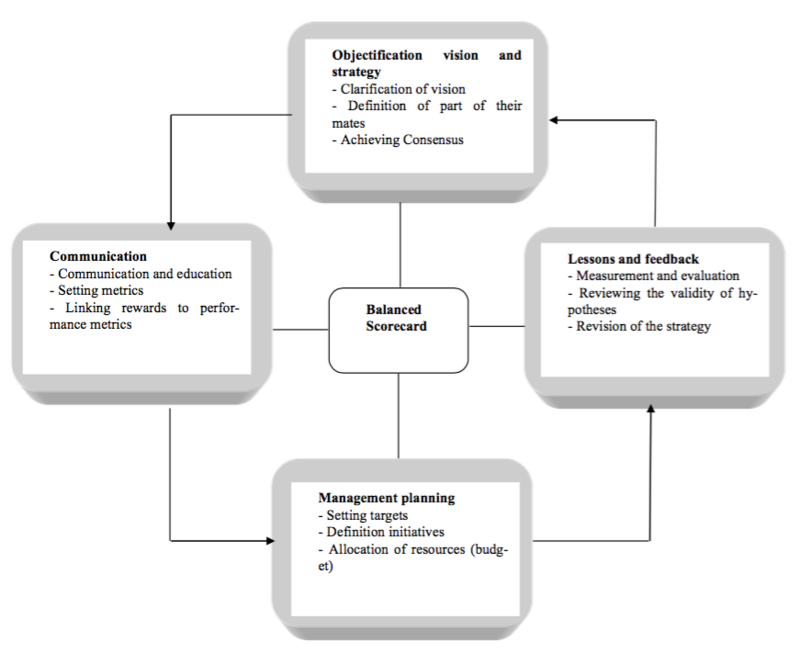 The Balanced Scorecard method, which is one of the most used metrics, is also presented and described in detail. The final part uses discussion to evaluate the topic and outline the possibil-ity to use the acquired knowledge for future development. The issue of performance measurement is currently the subject of interest in many fields. Since the pressure on developing information systems continues to grow, it is necessary to monitor costs and investments that are put into these activities. The managers of information systems of organizations deal with this issue, they must be able to measure the effectiveness of information systems in the company. New con-ditions which are changing quite rapidly in the turbulent environment of information systems require new methods and applications. Since most organizations today are dependent on their information systems, measuring performance and efficiency in computer science increasingly gains significance. 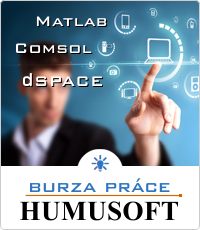 Performance measurement of information systems is done via several methods. Among the most common is e.g. 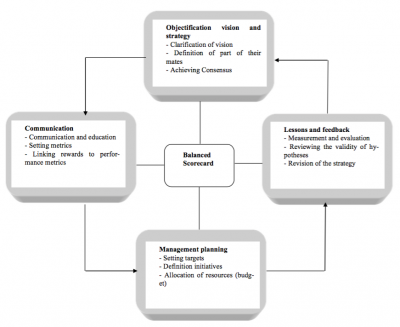 the Balanced Scorecard (BSC) which is presented in the form of a simple causal model. BSC also presents a framework for communica-tion between different layers of management. Other methods may include the meth-odology COBIT which is one of the most comprehensive analyses to measure corpo-rate performance. This analytical method allows defining the correlation linkage between resources, requirements and processes in the field of information systems. IT management is effective and beneficial if the information system supports achieving business goals and optimal business processes. Management and meas-urement is an integral part of business management. The information system objec-tives formulated in an information strategy are a part of an overall structure of cor-porate strategy and its goals. it is a performance indicator which combines individual and team efforts to achieve predetermined objectives. available at no extra costs. “If I do not know where I am going, I will not get where I want to.” Visions and missions formulate the idea of where the company should be directed in the long term. “I cannot control my steps if I do not have senses that measure where I am currently standing.” It is necessary to focus on what ‘senses’ I need, or what are the things I need to measure and to what extent. “If I know how to measure, I can make corrections of future steps and, therefore, I have a real chance that I will get where I want to and will become excellent and successful”. a) Stage of Growth – is characterized by new investments, infrastructure development, etc. b) The stage of growth saturation – is characterized by investments and reinvestments to eliminate bottlenecks, ex-pand the capacity, etc., with the emphasis on the maximum rate of return of the money invested. Metrics and their applications in a corporate environment is an integral part of the evaluation of the business effectiveness and performance in the industry. Metrics are based on basic attributes that are important for its implementation and determine their functional structure. Currently, information systems and infor-mation technology are an integral part of the organization and in terms of their importance; they also belong to the most vulnerable assets. Therefore, it is neces-sary to constantly improve their security and optimize their performance. The in-formation contained in information systems ought to be protected at the highest level, since its leakage, or eventually misuse, can have dire consequences for the company. To prevent such events, insurance against cyber risk can help which provides coverage of loss or damage of information and can significantly prevent or reduce damage. To assess the value of the information system and the information con-tained therein, which are an important stage of the insurance process, metrics are mainly used. Their implementation provides measurable outputs in terms of which the price of the information system in the organization can be evaluated. UČEŇ Paul et al. Metrics in computer science: How to objectively determine the benefits of the information system. Praha: Grada Publishing, spol. Ltd., 2001, 140 pp. ISBN 80-247-0080-8.